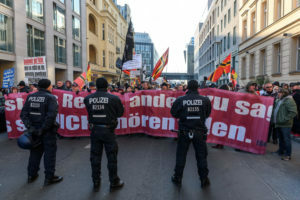 A further right-wing extremist demonstration of “Wir für Deutschland (WFD)” was attended by about 450 supporters, who marched from Berlin’s main station through the neighborhood of Spandauer Vorsadt to Alexanderplatz chanting racist slogans. 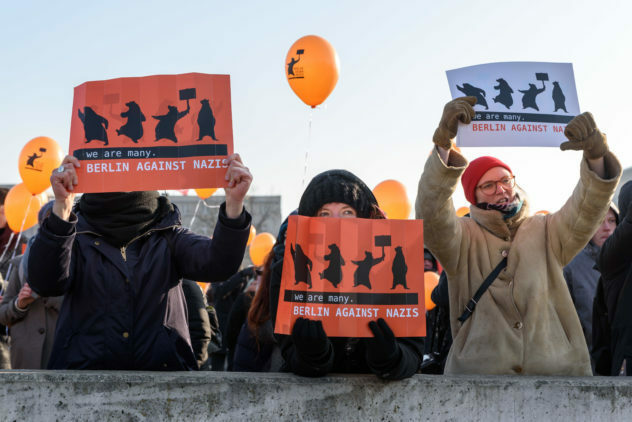 Berlin gegen Nazis invited to join their action campaign at both counter protest events. 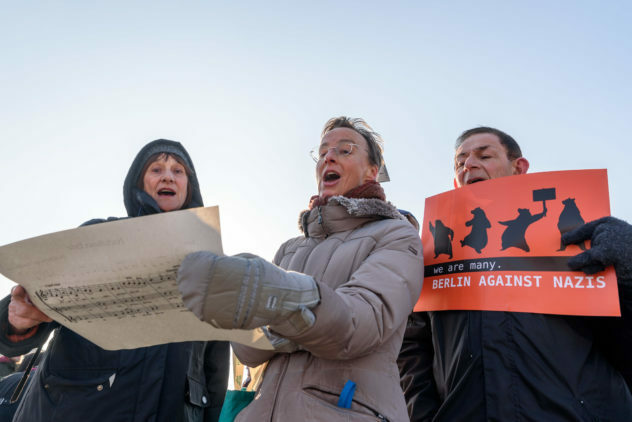 The committee “Bündnis für ein weltoffenes und tolerantes Berlin” held their protest event at the starting point of the right-wing extremist gathering at Hauptbahnhof, the event hosted by the neighborhood initiative “Anwohner_inneninitiative für Zivilcourage - Gegen Rechts” was located next to Friedrichstadt-Palast along the marching route though their residential neighborhood. 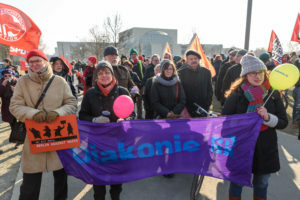 The committee Bündnis für ein weltoffenes und tolerantes Berlin, a broad alliance of churches, unions, charities, and further organizations of civic society, hosted an event at Spreebogenpark near the gathering point of the right-wing extremist demonstration at Hauptbahnhof and enabled about 300 Berliners to voice their protest in immediate vicinity. 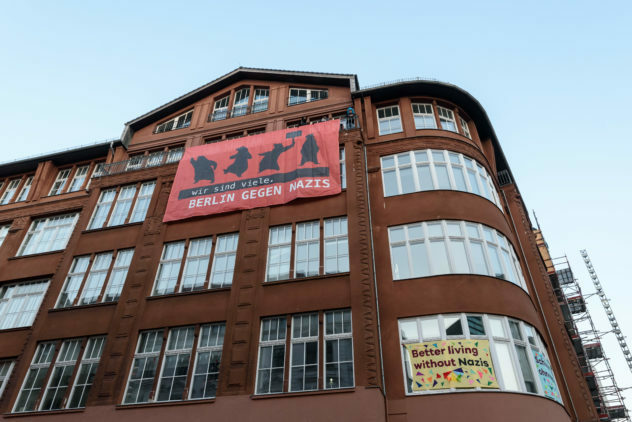 Speeches were given by spokespersons of the alliance, Diakonisches Werk, DGB, Evengelische Kirche Berlin, as well as the neighborhood initiative “Anwohner_inneninitiative für Zivilcourage – Gegen Rechts aus Mitte”. 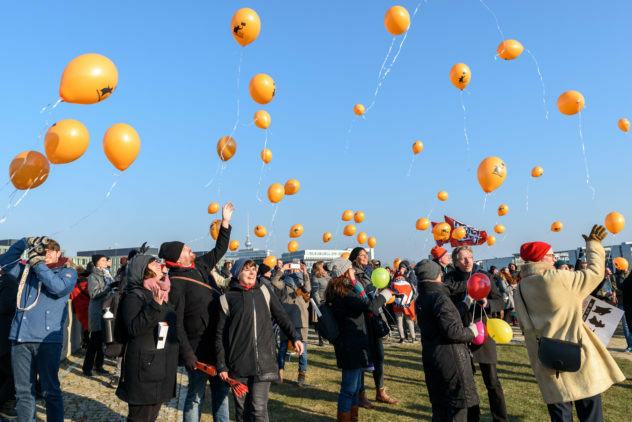 The neighborhood initiative “Anwohner_inneninitiative für Zivilcourage – Gegen Rechts” organized an event in their residential neighborhood next to Friedrichstadt-Palast, as they were, for the first time and unlike the year before(1./ 2. 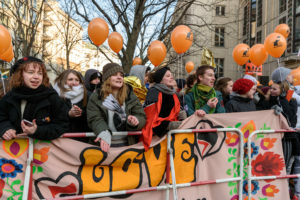 ), directly confronted with a marching route of the right-wing extremist demonstration straight through their neighborhood. 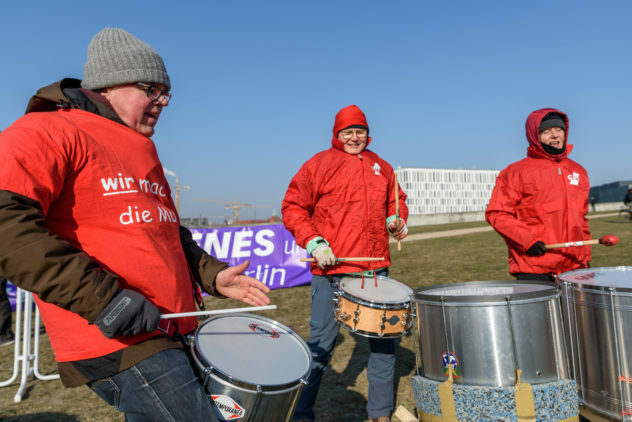 There were about 300 citizens confronting the right-wing extremists with a very vocal and creative protest, pots and pans, golden flags, music, and speeches against neo-Nazis. 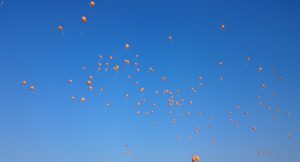 Berlin gegen Nazis invited all Berliners to join their balloon action campaign at both counter protest events. 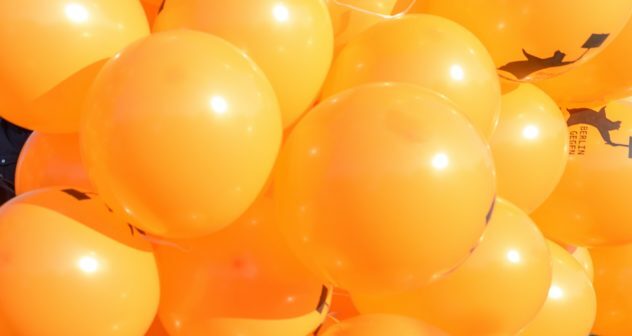 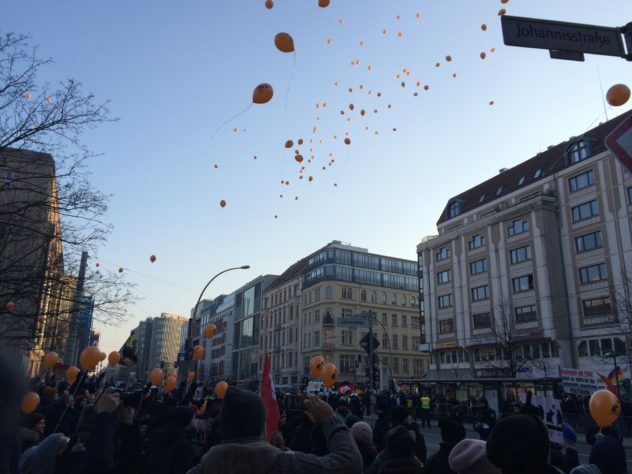 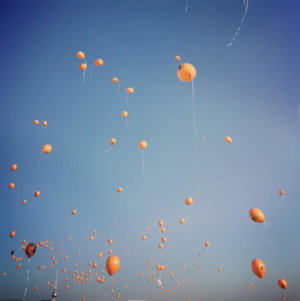 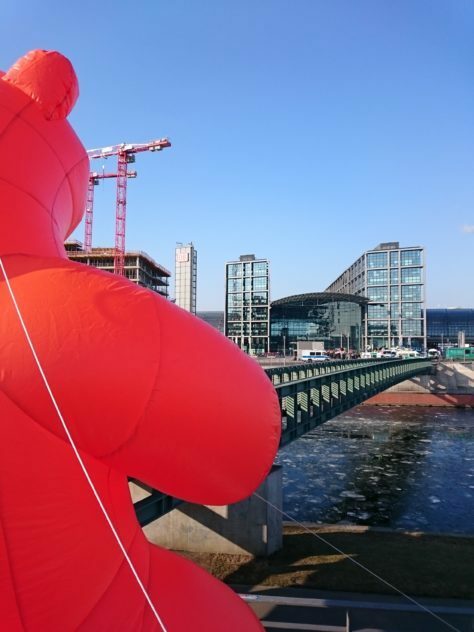 A sunny and clear albeit biting cold sky was soon filled with hundreds of balloons imprinted with “Berlin gegen Nazis” while the right-wing extremist demonstration passed by. 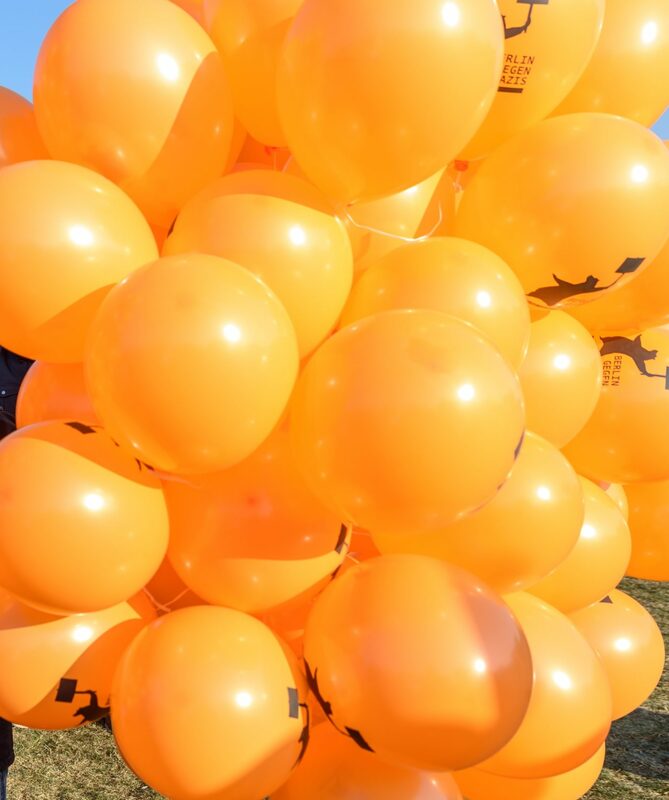 A video documentation by Jüdischen Forum für Demokratie und gegen Antisemitismus captured some impressions of the balloon action campaign at Spreebogenpark. 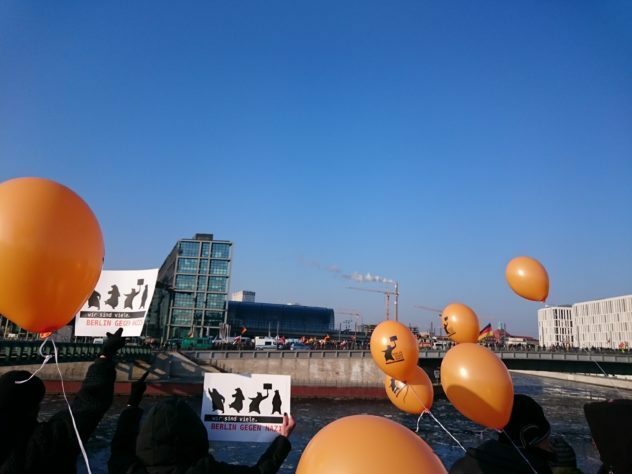 With about 250 participants, the right-wing extremist marched from Hauptbahnhof through Spandauer Vorstadt to Alexanderplatz, chanting explicit slogans such as “Ruhm und Ehre der deutschen Nation“ or “Heil Merkel“. 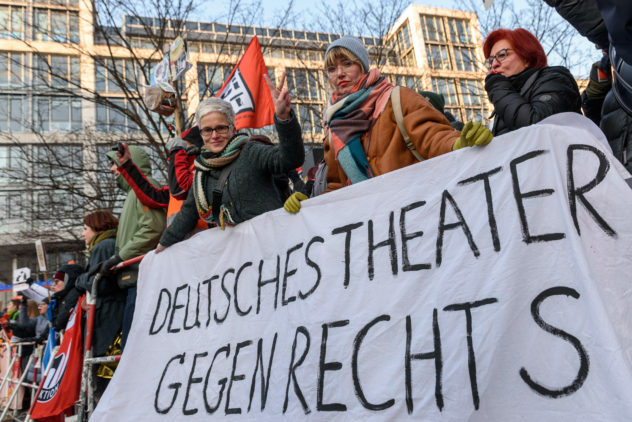 The report of the residential neighborhood documents verbal abuse and threats of the protesting residents by the demonstrators on the sound truck. 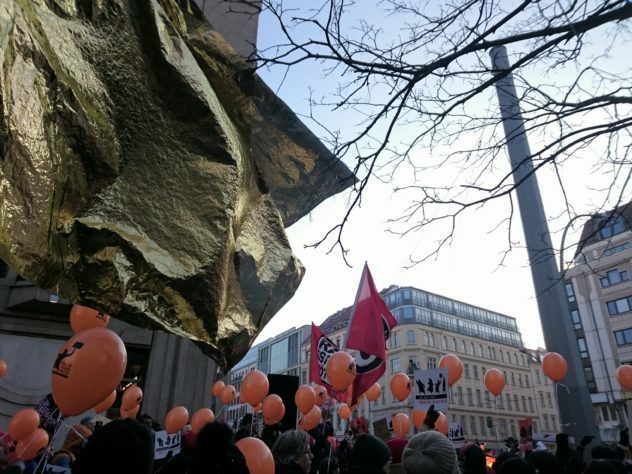 Several participants of the right-wing demonstration performed the Hitler and Kühnen salutes. 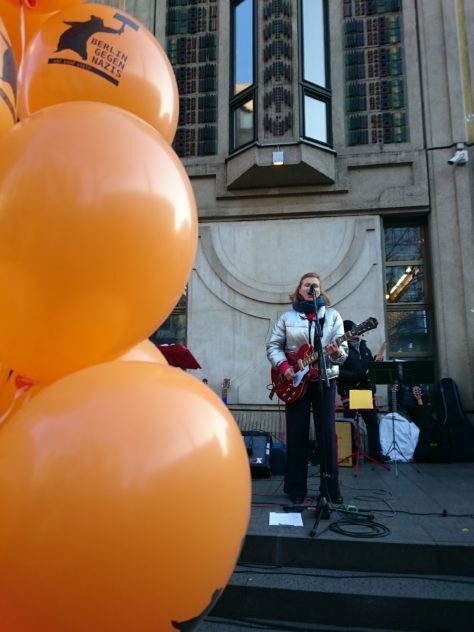 The demonstration was continuously accompanied by the resident’s protest.